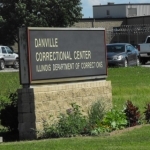 An inmate who punched a guard at the Danville Correctional Center last August will serve an extra six years in prison. Forty-three year old William Ward was sentenced Tuesday for Aggravated Battery to a Peace Officer. Ward pleaded guilty to the charge Tuesday in a plea agreement in which he was sentenced to six years in prison and two years of mandatory supervised release. The sentence will run consecutive to the prison term that Ward was already serving. In another case, 29-year-old Patrick M. Ross pleaded guilty to Unlawful Possession of a Weapon (by a felon on parole). Ross was sentenced to six years in the Illinois Department of Corrections during an appearance in Vermilion County Circuit Court. Vermilion County State’s Attorney Jacqueline Lacy says Ross stole a gun from a friend he knew from high school. Thereafter, the defendant sold the 9 mm handgun for $40 worth of heroin, said Lacy. At the time of the crime, Ross was on parole for the offense of Aggravated Fleeing and Eluding a Peace Officer for which he served two years in the Illinois Department of Corrections.